In 2007 Nigel filmed and produced a set of three cookery DVDs and launched his fabulous cookery academy in North Lincolnshire. Nigel’s academy is said to be Lincolnshire’s finest cookery school. 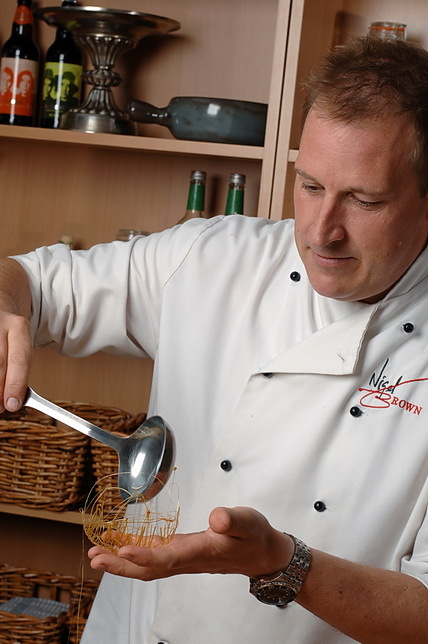 In between running courses at his cookery academy, Nigel regularly demonstrates at top food festivals and events throughout the UK. Amongst some of his more memorable achievements he was featured in a celebrity chef calendar (with his clothes on!) and over the years has catered for Nelson Mandela and Princess Anne. In January 2012 Nigel became a regular recipe columnist for The Lady Magazine online. 2013 saw Nigel front a nine part foodie TV series, Haloodies. The show was broadcast to 136 countries around the world. 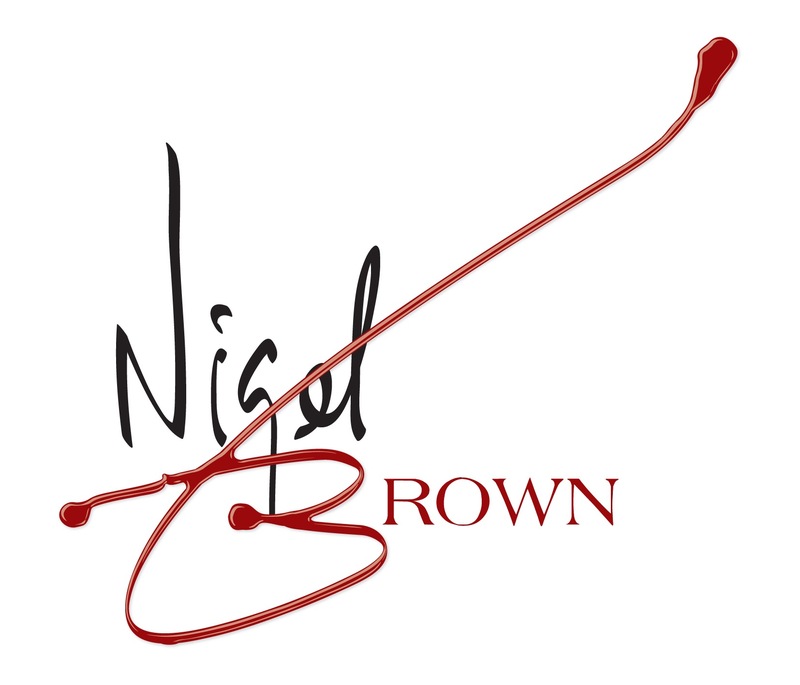 2014/15 was a busy year with delivering courses at the academy along with Nigel’s many food festival appearances across the UK and his commitment to charities that included running pop-up restaurants for CASE a Hull based charity that runs a disabled adults learning centre. 2015 – the year that Nigel headed up the national campaign #EatWhatYouLike, a campaign that raised an eyebrow or two but gained much support from the nation as the campaign message was and is, eat what you like and live life to the full, everything in moderation is good for you. A marriage of food and wine followed in the autumn/winter of 2015 as Nigel teamed up with Wine Rack UK to deliver food and wine tasting events at all of their new high street Wine Rack store openings across the UK, don’t worry if you missed one, more will follow in 2016! With an unrivaled passion for sharing his wealth of expertise in the world of good food Nigel had his first cookery book, NB. HOW TO COOK published in 2016. Within 2 months of the books publication it rightfully received its first award from the GOURMAND WORLD COOKBOOK AWARDS, winning the prestigious title of BEST COOKERY SCHOOL BOOK IN THE UK. 2017 saw Nigel embark on a national tour, Cookbook Live with Nigel Brown, it was a brand new show that showcased Nigel’s latest award winning cookbook while he entertained audiences across the UK with his amazing recipes and cheeky Yorkshire patter! 2018 Working with Fin London a London television production company, Nigel has recently filmed a pilot for a potential 4 part series Food/Travelog series that if commissioned will be aired in the Autumn of 2019, a series cookbook will also follow. 2019 Nigel’s fist Celebrity restaurant attachment opening 2nd March and Nigel will also be launching his very own traditional bottled beer range.